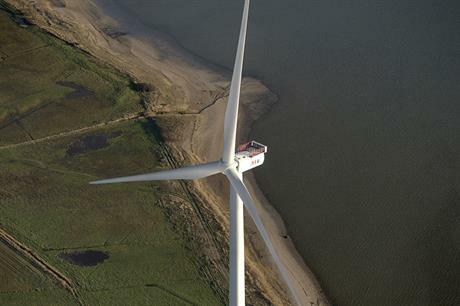 BELGIUM: MHI Vestas has been named as the preferred supplier for the 370MW Norther offshore project in Belgium. If the project and contract are finalised, joint venture MHI Vestas will supply ariund 46 V164 8MW turbines to the site, located 22km off the Belgian North Sea coast. The Norther project is owned by Norther NV, a development joint venture between utilities Eneco and Elicio. Norther is expected to be completed in 2019 and would be the largest offshore project in Belgium. "MHI Vestas has a strong partnership with Eneco, who we have worked with to deliver the 129 MW Eneco Luchterduinen and 120 MW Princess Amalia projects in the Netherlands, while we look forward to building our relationship with Elicio N.V. going forwards," said MHI Vestas CEO Jens Tommerup. MHI Vestas has previously worked with Netherlands-based Eneco on the 129MW Eneco Lucterduinen offshore project in the Dutch North Sea. The site comprises 43 V112-3MW turbines and was completed in September 2015. Joint venture partner Vestas also supplied Eneco's 120MW Princess Amalia offshore project in the Netherlands in 2008. As part of the agreement signed when MHI Vestas was established in 2014, the offshore manufacturer now services the 60 V80 turbines at Princess Amalia. In May 2015, MHI Vestas was awarded a conditional agreement to supply the proposed 960MW Navitus Bay offshore project in the UK, which was being developed by Eneco and EDF. The Navitus Bay plan was ultimately rejected by the UK's permitting authorities and the government, meaning the contract with MHI Vestas could not proceed.